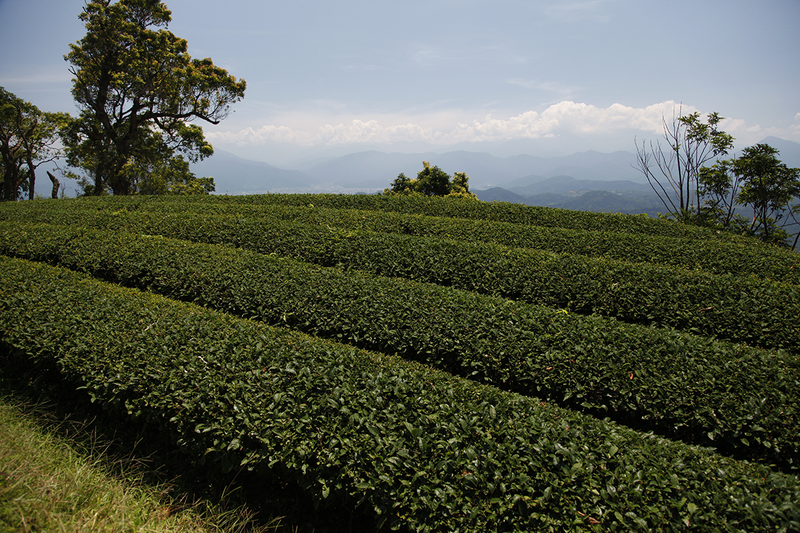 The island of Taiwan is famous for its Oolong teas. They are oxidised to varying degrees and so develop notes that are more vegetal, or on the contrary, more woody. But these teas, which are also known as blue-green teas, do not represent all of the island’s production. There are also green teas and black teas in Taiwan. 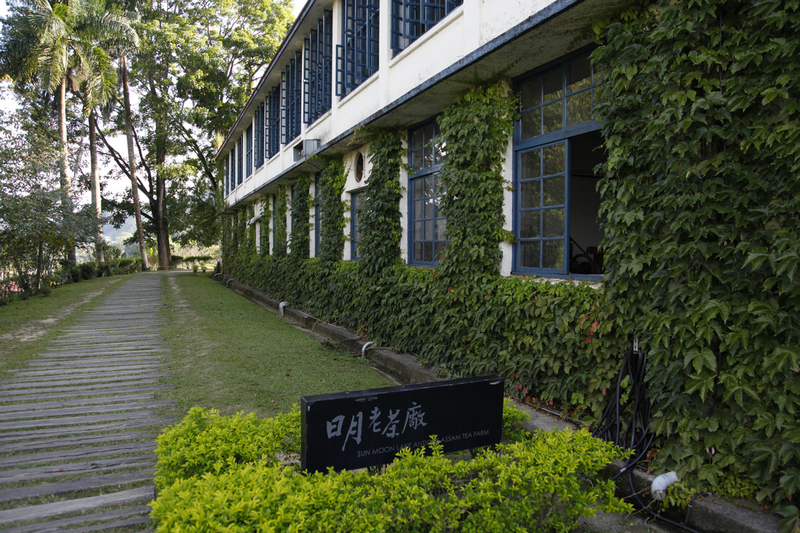 Regarding the black teas, here is the building where they were processed, at the time of the occupation and when the Japanese were toying with the idea of making Taiwan one of the world’s biggest producers of black teas. The Japanese wanted to compete with British teas made in India. Tea has a very good character. It gets on well with many plants. Here, high up in Taichung (Taiwan), it has a close relationship with Areca catechu. This palm provides the farmer with a supplementary income and our bushes with a little shade. It also lends an impressive verticality to these tea gardens, which are usually very horizontal. In the centre of the island of Taiwan they produce Gao Shan Chas, high-altitude teas that are rolled into pearls. They are semi-oxidised teas that are withered, then lightly oxidised, roasted, rolled, dried and packaged. In the cup, the best of them develop fresh vegetal notes and a lovely opulent flowery bouquet (rose, hyacinth, jasmine), sustained by buttery, milky notes with an occasional hint of vanilla. These high-quality teas are produced in limited quantities. Calling all fans of “grand cru” teas! You now have access to the best selection of teas in the world. This is the optimum time of year to try the finest teas in existence. All are extremely fresh, newly delivered by air. 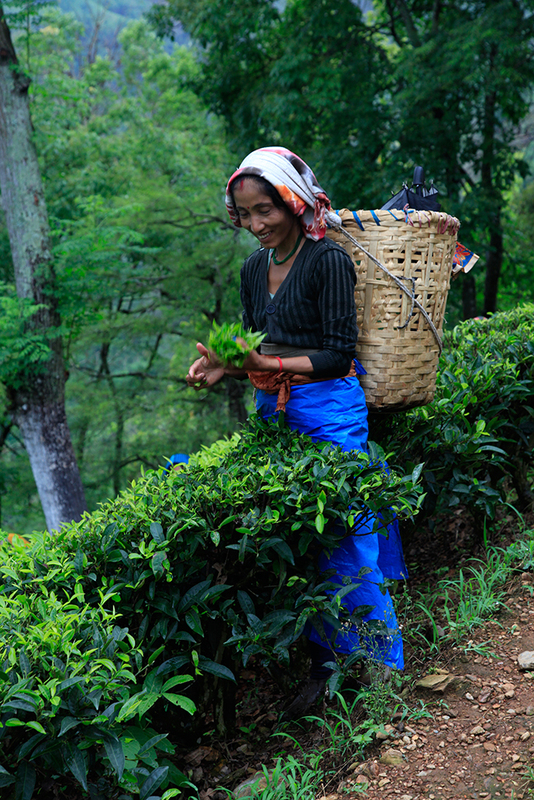 There are first-flush and second-flush Darjeelings, new-season Chinese teas, and Japanese Ichibanchas harvested in May, alongside teas from Nepal, Taiwan and South Korea. For tea-lovers, the start of the summer is a pure pleasure! In Taiwan, people take great care of semi-fermented teas (wu longs) left to wither outside. The grower first buy an electrical system of open-weave canvases that are moved across to shade the leaves when the sunlight gets too intense. 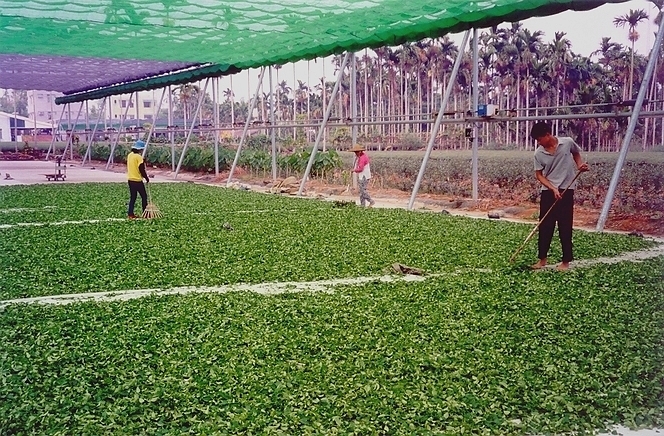 Tea is then aired: it is raked very carefully, for hours, to prevent the leaves from starting to ferment. In Taiwan, in the Nantou region for example, well-known for its Wu Long teas (Dong Ding, etc. 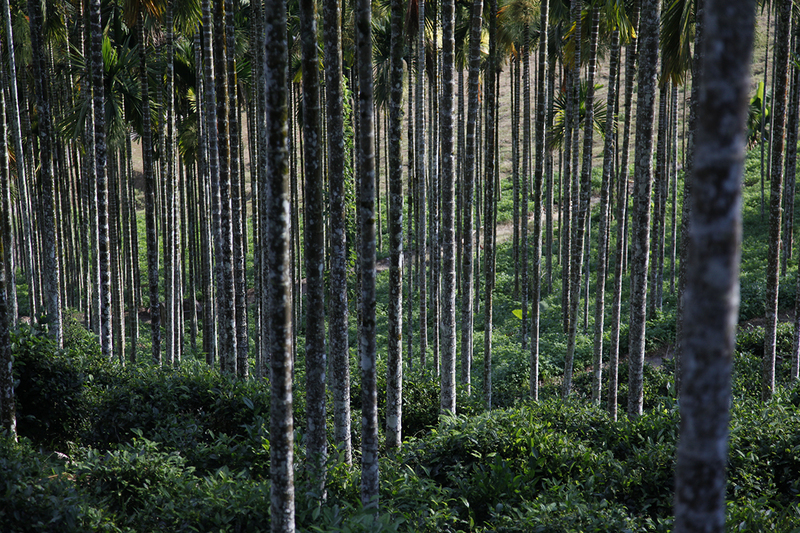 ), the tall and spindly trunks of the palm trees contrast with the rows of tea plants and give the landscape a very graphic appearance. Wu Long teas from Taiwan are among the best teas in the world. By the way, we will receive beautiful Bao Zhong teas in a few days. However, of that island, we easily have an image of a country whose activity is turned towards electronics and other micro-electronic components. In any case, not the image of an island whose territory is mainly covered by mountains. Taiwan is indeed divided by central ranges spreading from north to south and is very much appreciated by hiking lovers who enjoy walking on its small steep paths. During my trips, I can often see some of them, tired and out of breath but delighted by the beautiful landscapes around them. 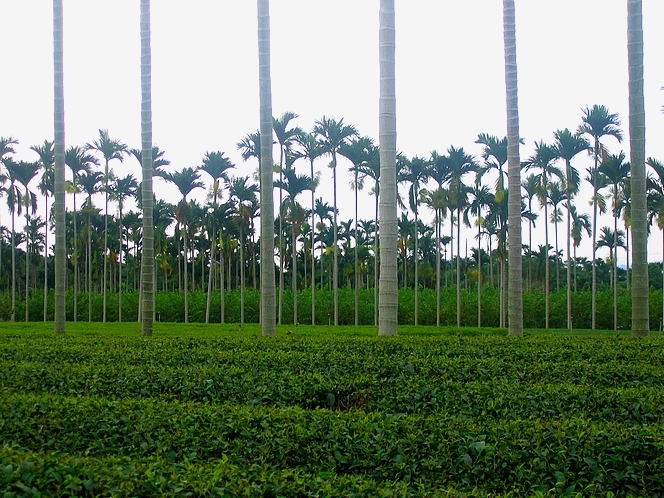 This geography offering coolness and humidity combines the ideal conditions to grow high quality teas and we come across plantations a little bit everywhere in the country, each region producing distinct designations. The best Taiwanese teas are the “blue-green” or semi-oxidized: lightly oxidized Bao Zhong, Wu Long rolled up in perls (Jing Xuan, Gao Shan Cha) and Bai Hao Wu Longs. Carine (see the post My travelling companions of last Friday) took this photo when we were in the county of Nantou in the centre of Taiwan. 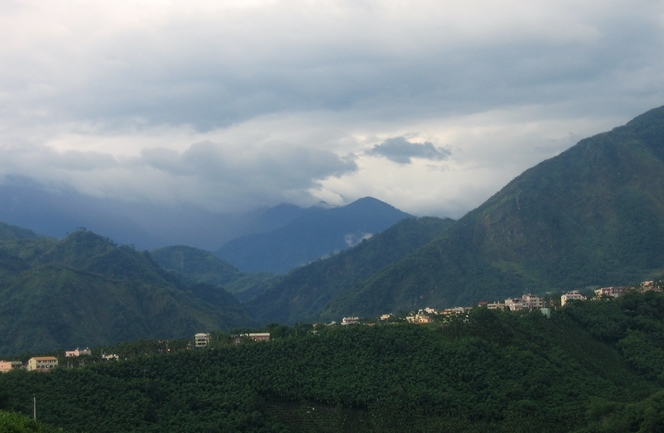 You can see the village of Lu Gu, perched on the crest of the Shan Lin Xi mountains, not far from the lake with the same name and near the place where great Dong Ding teas are produced. Most of the time, I travel on my own. Nothing’s better than solitude to meet others, be receptive and start up relations. I go foward at my own pace, going from one plantation to another as I like. I stay there the time it takes to strike up a friendship with tea producers and learning the most about their work. In the evening, I look for a friendly inn and right after having sat down, I start up a conversation with my neighbours. I make other trips with companions, study trips of example, during which we aim at learning everything possible about teas coming from a specific area. We then have to take notes, talk with producers or farmers, learn about the manufacturing process of each tea, ask endless questions and take lots of pictures at the same time… In that case, two or three of us are not too many to accomplish all these tasks! My best trip companion in that case is Mathias, on the right of the photo, with whom I have been sharing the same passion for more than ten years. And Carine, on the left, who is in charge of the Tea School, is a perfect complement to us thanks to her career as an aroma specialist. This photo was taken in Beipu, Taiwan, to be precise. Behind us, bamboo trays on which Bao Zhong tea leaves are left to sweat.